Find out about Edd's background and experience. 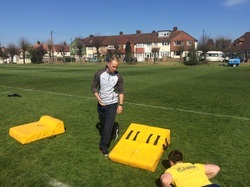 Private 1-2-1 rugby coaching for players of all ages and abilities. Huge congratulations to one of my clients for making the Surrey County squad following trials in April 2016. Edd has recently returned from a trip to America where he coached and spent time with excellent coaches at the Las Vegas Black Hawks, Yale University and Princeton University.